What is the ultimate comfort food? What would you say? Is it something that is so good, it’s bad for you, or is it something so full of nourishment and goodness, filled with childhood memories? I think that a hearty bowl of chicken soup is one of those ultimate comfort foods – full of nourishment, it warms you up on a cold winters night, it soothes away any discomforts and illness – it’s like the ‘mother’ of all soups! Literally. It is like a mother’s touch – soothing, comforting and healing. 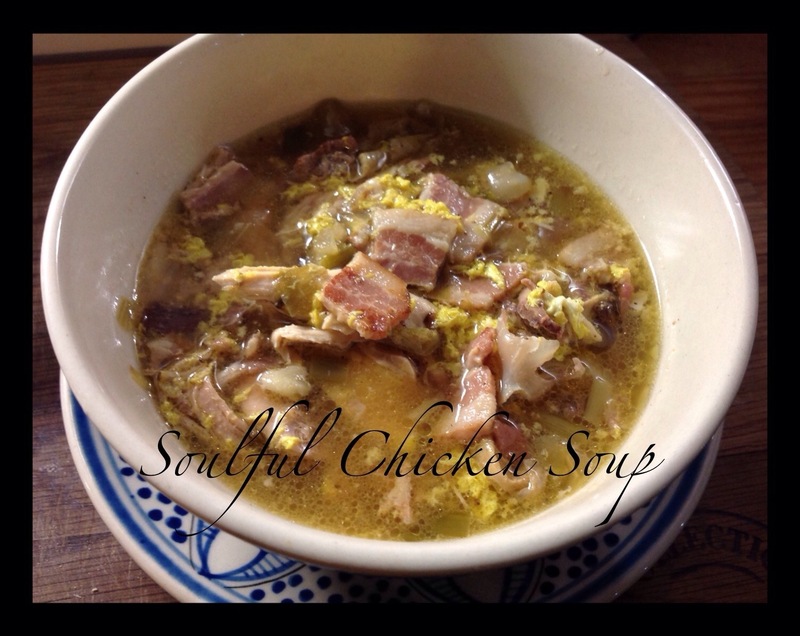 There are many, many different versions of chicken soup, but this has got to be my favourite. All thanks to my talented brother, who taught me how to make this. Sauté the onion and leeks in some olive oil and butter until soft. Add the bacon and fry until cooked. Deglaze the pot with a splash of wine and then add the chicken and the stock and simmer for a couple of hours until the chicken falls from the bone. The flavour should also be nice and intense. Just before serving, drizzle a whisked egg into the soup to create little egg drops – delish! The egg adds a bit of body and a slight creaminess, it’s really fantastic. I’ve been using chicken and bacon ever since I’ve first made this soup – such a winning combo.